A powered air purifying respirator – PAPR – is the highest level of filtering respiratory protection. Contrary to classic gas masks that are note positive pressure units, the breathing effort is transferred to an engine that injects a constant filtered air flow into a face piece. A powered air purifying respirator, also known as PAPR, is an enhanced filtering respiratory protective device. A PAPR respirator is composed of a face piece, one or several breathing protective filters (for particles, gas or both), a lightweight engine and a corrugated hose. This type of respirator is a positive pressure equipment. This means that the breathing effort is reduced as a motored blower directly injects air into the face piece through a corrugated hose. The main asset for these devices is the reduction of the breathing effort. 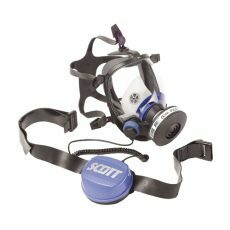 Thus using a positive pressure respirator shall be preferred for demanding and long duration works or for applications in intense heat environments. 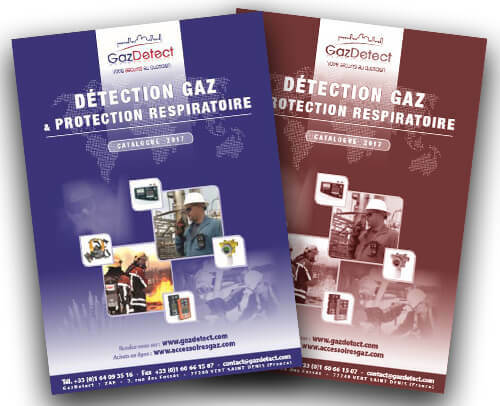 Moreover, the overpressure generated by an PAPR respirator ensures a high nominal protection factor – higher than provided by a classic gas mask. Hoods are made of a soft material resistant to some corrosive gases. They cover head and feature a large field of view. With a PAPR hood, airflow is well distributed for enhanced comfort. Powered air purifying respirator masks are used when a pollutant concentration exceeds 40 times the OEL (occupational exposure limit for 8 hours). Air is directly injected into the PAPR mask close to breathing tracts in order to not dry out the eyes. The efficiency of a powered air purifying respirator depends on the device tightness (face piece, engine and PAPR filter). /filtering cartridges are labeled with a letter (hood category) and a figure (PAPR respirator tightness level). Tightness is measured in percentage of gas pollutant leak into a PAPR face piece. Particles pollutants are labeled with SLP – for solid and liquid particles – without any efficiency class. The X-plore 8000 is a powered air purifying respirator especially designed to provide a reliable and convenient respiratory protection solution. Fully modular, this system can operate for at least 4 hours with only one charge for safe applications. 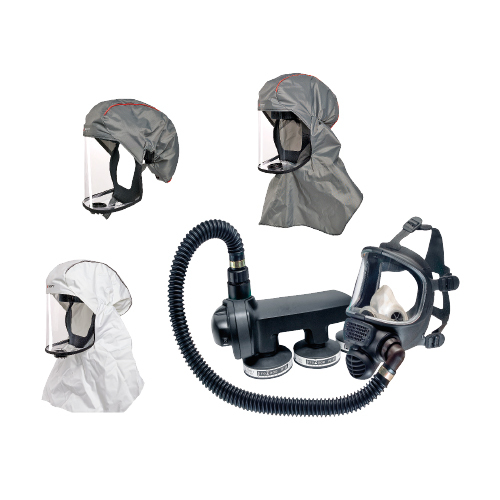 The X-plore 800 PAPR respirator system has been especially designed to enable its user to operate safely in toxic environments. Thanks to its robust design – IP65 certified against dust and water jets – this positive pressure air purifying respiratory protective device is particularly well-suited for use in potentially explosive atmospheres (ATEX). The X-plore 8000 PAPR respirator system is composed by a rugged casing that can includes a whole range of specific PAPR filters in order to meet requirements of almost any industrial application. 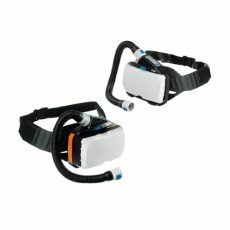 A breathing hose available in three different versions and a face piece (PAPR mask or hood) complete this system. The device can be worn with a special belt and can be equipped with a standard battery, which provides at least 4 hours run time, or a high capacity battery for an extended run time of at least 8 hours. The belt ensures optimal comfort of use and perfect weight balance. 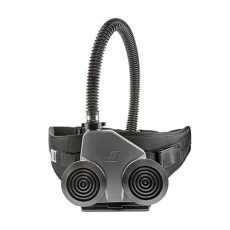 This positive pressure respirator has been especially engineered to fit perfectly the user without disturbance. Available in standard version as well as ATEX certified fireproof version, the X-plore 8000 respirator features protected air inlets which ensure that no dust, water or even sparks come into contact with filters. 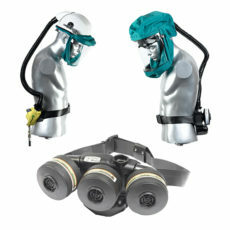 Thanks to its enhanced technology, the PAPR respirator system automatically detects the connected face piece in order to adjust the injected airflow. Integrated temperature and pressure sensors in the housing also enable the automatic adjustment of the airflow. A wide range of face pieces – PAPR hoods & masks - is available to meet even the most demanding requirements from any application. This way, the housing of the X-plore 8000 can be connected to half-hoods, full hoods, protective visors, helmets, half-masks, panoramic masks or even helmets specifically dedicated to welding activities. The X-plore 8000 PAPR respirator also features a smart alarm system which purpose is to alert user in case of problems. This way, if the air flow is not sufficient or in case of low battery status, visual (operational display), acoustic (80 dBA at 1 meter) and vibrating alarms activate to alert user of the failure. Moreover, an integrated optical sensor avoids any use without a filter for an optimal safety of use. PHANTOM Vision has been designed to exceed more and more demanding requests of any application that requires a full-face mask. To date, Proflow3 EX is the only positive pressure respiratory protective equipment against volatile organic compounds on the market (SCOTT Safety patent).